So you missed a couple of teeth cleanings, slacked on brushing and flossing, and now you have periodontal disease. What this means is that you have an infection of the structures around your teeth. If you’re lucky, you might have caught the disease in its early stages. However, if you’re feeling a lot of discomfort and pain, you could be further along in your periodontal disease. Regardless of your stage, if you are diagnosed with periodontal disease, you need to see a periodontist as soon as possible. These are all warning signs that you may be in the early stages of periodontal disease. If you have been diagnosed with the disease, then you may already be experiencing some of these issues. If you are, you should take action and schedule an appointment with your local periodontist. WHY SHOULD I SEE A PERIODONTIST INSTEAD OF A GENERAL DENTIST? Advanced training and education: Periodontists have specialized education and are well trained in periodontal disease. San Antonio patients can feel assured that Dr. Krueger has years of experience and is an expert in handling your specific needs at KRK Implant Center. Deeper analysis: Although dentists can help with the basics, a periodontist can let you know affirmatively whether or not you have gum disease and the best course of action for you. More experience handling periodontal disease: San Antonio periodontist Dr. Krueger has hundreds of patients every year. Because he is a specialist, he deals with frequent cases of periodontal disease, which gives him an impressive amount of experience with treatment. 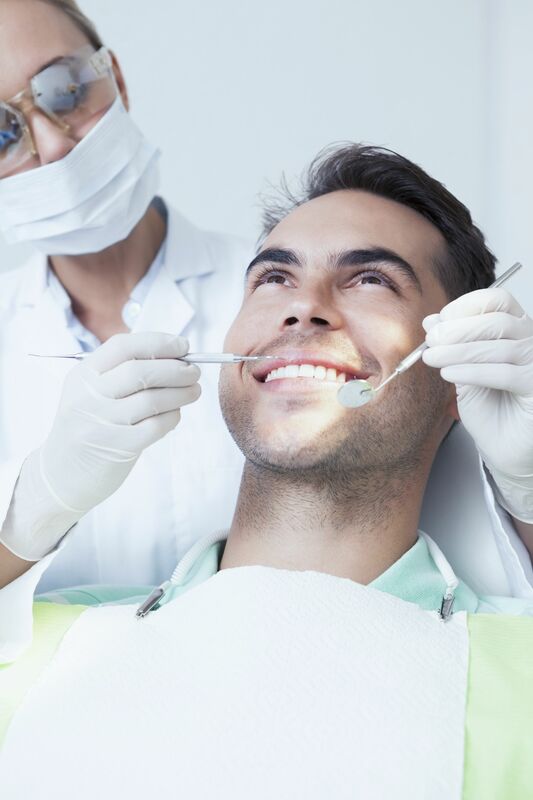 General dentists can help in very early stages of the disease, but if it’s progressing or further along, it’s best to see a periodontist who has the extra skills it takes to provide the best treatment. So if you know you have periodontal disease, don’t waste any more time. If left untreated, the disease can ultimately lead to receding jawbones, unstable teeth, and ultimately tooth loss. To make an appointment today, call our San Antonio office at 210.826.3946. Dr. Krueger will work with you personally to find the best treatment for your disease as soon as possible. What Distinguishes a Periodontist from a Regular Dentist? It is likely your general dentist referred you to KRK Implant Center for treatment. As a San Antonio periodontist, Doctor Krueger provides specialized care and surgical experience that supplements your dentist’s work. But how is a periodontist different from your general dentist? A periodontist focuses specifically on preventing, diagnosing, and treating diseases that affect tooth-supporting structures, including the gums and bone. He or she also receives training in cosmetic treatments such as dental implants. Learn how this training and years of experience have prepared Doctor Krueger to support your needs. Like your general dentist, a periodontist attends a dental school program, which typically requires four years of post-graduate classroom and laboratory studies. During the final two years, most dental students treat patients in clinics. Periodontal students learn about the development of gum disease and bone conditions. Graduate students get a broad perspective on the effects oral disease can have on other systems in the body. They become adept in placing dental implants and performing other procedures. Training also allows your periodontist to interact with other medical disciplines and gain expertise in advanced surgical techniques, including regenerative surgery, periodontal plastic surgery, and dental implant placement. In addition, their training in sedation and anesthesia methods provides greater safety during the surgical procedures they perform. The biggest difference between general dentists and a periodontist like Doctor Krueger is that he spends most of his time placing dental implants, conducting cosmetic oral surgeries, and treating periodontal disease. Much like anything in life, the more you practice, the greater your expertise. Doctor Krueger places hundreds and hundreds of dental implants each year, and his more than three decades of experience allow him to recognize and treat periodontal concerns effectively and efficiently. If you’d like to learn more about Dr. Krueger’s work as a San Antonio periodontist, contact our practice at 210.826.3946 or fill out the form on the right.